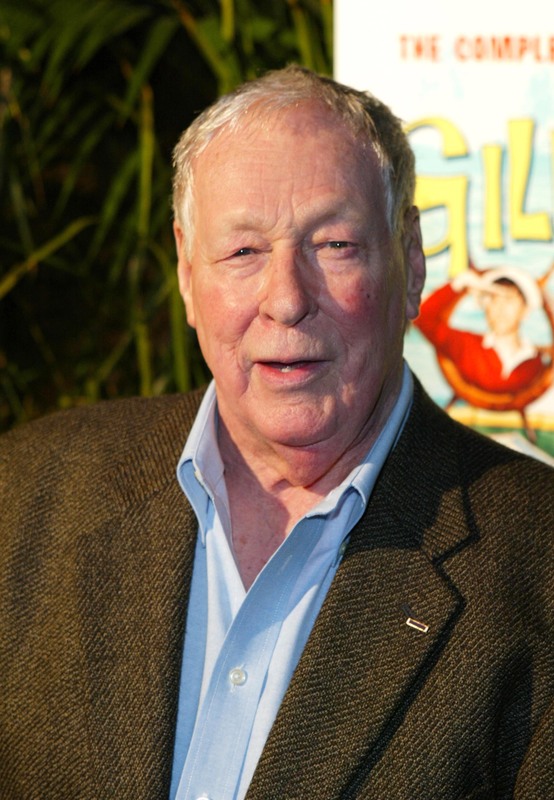 The actor best known for playing the brainy bachelor Professor on Gilligan's Island , Russell Johnson, passed away today in his home in Bainbridge Island, Wash. at the age of 89. On the show, Johnson was a fan favorite who, along with Mary Ann (played by Dawn Wells) was snubbed as part of "the rest" in the show's season one theme song. By season two, however, both were recognized as integral parts of the show and the opening credits were updated to reflect it. There are now only two surviving members of the famous three-hour tour, Dawn Wells and Tina Louise. Bob Denver died in 2005, Alan Hale Jr. in 1990 and Jim Backus 1989. Wells expressed her grief over Johnson's passing in a Facebook post, saying, "My 2 favorite people are now gone. The professor past (sic) away this morning. My heart is broken. Russell was a true gentleman, a good father, a great friend..."
While TV fans remember him best for the classic sitcom, Johnson also appeared in several films (mostly westerns) and in guest-starring roles on television series such as The Twilight Zone, Alfred Hitchcock Presents and The Jeffersons. Johnson is survived by his wife, Connie and daughter, Kim.